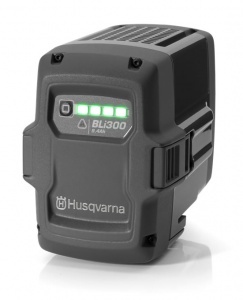 For fast charging of the BLi300 and Husqvarna Li-Ion backpack batteries. 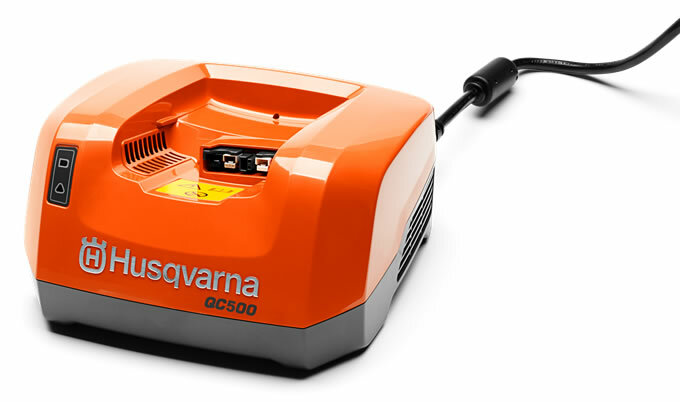 This is a high speed charger designed for efficient charging of Husqvarna's high capacity Lithium-Ion batteries, perfect for professional use. It can charge batteries up to 50 percent faster than the QC330 charger, courtesy of its 500W output and active battery cooling. This allows you to be more productive and more efficient. With a charge indicator LED. Designed to be used with Husqvarna's 500 Series, this high capacity Lithium-Ion battery is great for professional use. 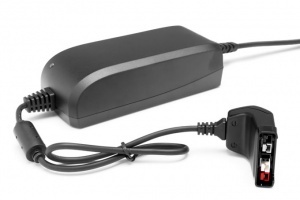 It has a 4-LED charge indicator, uses efficient cooling and can be used in all weathers. Recommended for use with Husqvarna's BLi10 to BLi200 Lithium-Ion batteries, this quick charger has a charging power of 330W and has been designed for professional use. Intended to be used to charge your Husqvarna BLi10 to BLi300 Lithium-Ion batteries while on the move, from a 12V car or truck socket, this charger gives you outstanding flexibility. An ideal way to charge Husqvarna's BLi10 and BLi20 Lithium-Ion batteries, this compact battery charger also has a charging indicator LED and is perfect for use in domestic applications. 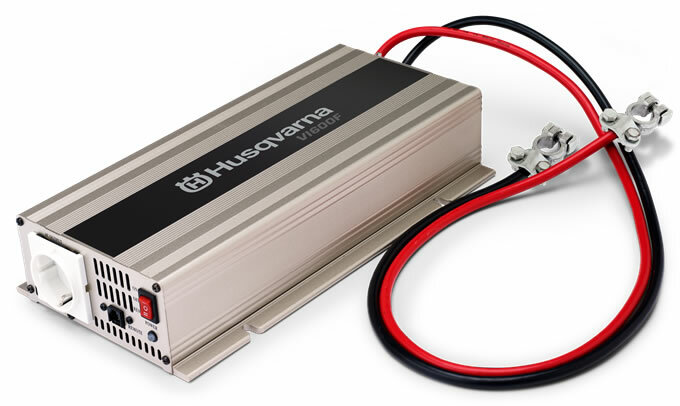 Perfect for allowing you to charge your Husqvarna batteries while in the field using a lead-acid battery, this voltage inverter converts 12V DC to 220V AC. Suitable for use with all Husqvarna QC chargers.